A number of studies suggest that Valerian does help with insomnia. It seems to give people better-quality sleep. It may also help them fall asleep faster. Unlike magnesium and melatonin, Valerian root works better to maintain sleep. Some studies have shown that Valerian may improve anxiety. Sometimes called “nature’s tranquilizer,” Valerian has been used for centuries to regulate the nervous system and relieve tension, irritability, nervous exhaustion and stress. Germany’s Commission E approved Valerian as an effective mild sedative and the United States Food and Drug Administration listed Valerian as “Generally Recognized As Safe” (GRAS). From a weight-loss perspective, water has been shown to assist in losing and maintaining weight loss. Some people make the mistake of thinking that drinking less water will help prevent water retention. The opposite is true. Drinking more water stimulates the kidneys, which actually helps reduce water retention. It is important to drink at the right time. The best time to drink is between meals. It is good for health and excellent for controlling cravings. However, many people ignore their natural urge to drink or they respond either by eating or by drinking the wrong beverages. Try drinking two cups of water in the morning after you wake up, another two cups between breakfast and lunch and/or two cups between lunch and dinner. This regimen alone can transform your life. You will feel better and more energetic throughout the day, your health will improve and you will gain much better control of unhealthy cravings. Fruits and vegetables also supply the body with water. Water is the most beneficial beverage for the body. 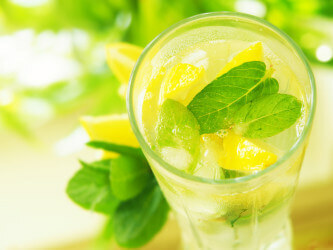 Inexpensive, natural and refreshing, it is far healthier than any other drink. Every cell in the body needs water to function. Without water, we would die in a few days. Water strengthens all the internal organs. Water improves digestion and adjusts the stomach for food. Water improves physical appearance. Water helps prevent certain illnesses. Even a small amount of water quenches thirst. Clean water helps maintain correct body temperature and it also speeds up the elimination cycle.